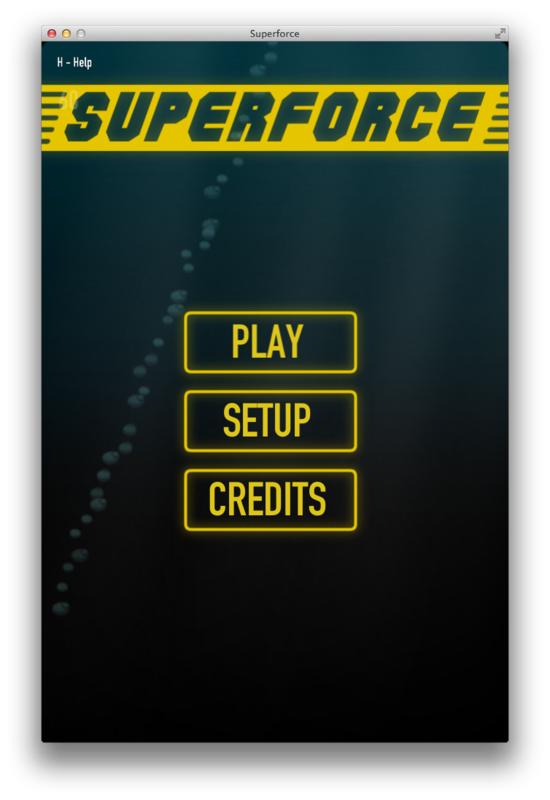 I have a working build of Superforce running on Mac OS X. Am I going to release it? Nope. So what is it for? The iOS Simulator is fast enough for running apps. It is way better than the Android emulator, but it’s not fast enough to run a game at 60FPS. And it is completely useless for running a game that is controlled by the accelerometer. There’s a way around that, but it’s too complicated for my taste. I want to iterate quickly, so I’ve invested some time to optimize my workflow. Setting up a Mac build has paid off almost immediately. The Mac version starts super quickly and runs smoothly at 60FPS. I can comfortably control it with keyboard and mouse. Another big advantage is that it can read and write files in the filesystem. This is required for the built-in level editor. It also helped me identify a few areas in my code which had problems on a 64-bit architecture. I was able to fix those without ever running the game on a 64-bit iOS device.